So I know, the holidays are over, and I missed this occasion slightly, but I still wanted to dish briefly, mostly to focus on the massive amounts of advertising the Art Institute did for this campaign. If you’ve walked in the Loop past a vacant storefront building, you’ve surely seen the massive ads about what’s going on at the Art Institute for the holidays. Or if you’ve been in a subway car recently you might have noticed. You know how sometimes a single advertiser will buy out all the ad space in an entire subway car? You could be in a car with only blackberry ads and find yourself really needing the ability to BBM. Well the Art institute did the same; one night I found myself overwhelmed with ads about something going on at the Art Institute called “Home for the Holidays”—there was even ads for it on the ceiling of the subway car. Ads on the red line. The “Home for the Holidays” campaign was a concise (cost effective?) way of promoting several new things at the museum rolled into one campaign. 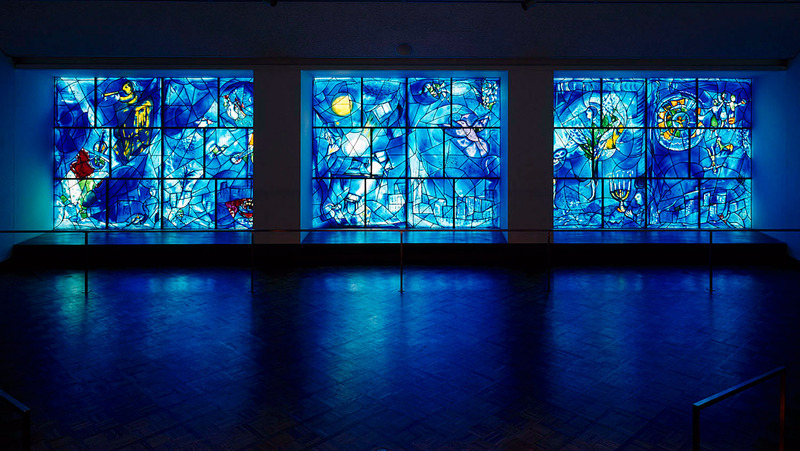 Those things being: 1-the wreathing of the lions, 2 – the decorating of the Thorne Miniature rooms in holiday décor, 3 – the reinstallation of Chagall’s American Windows, and 4 – the installation of the museum collection of arms and amour. And although Chagall’s stained-glass windows aren’t so holiday themed, they sure reek of holiday spirit compared to suits of armor and battle axes. The curtains match the drapes (the ads match the wreaths)—it’s called branding. The wreathing of the lions is a tradition now in its nineteenth year. Last year (2009) the Art Institute mixed tradition up a bit and had a design firm create contemporary wreaths for the lions. 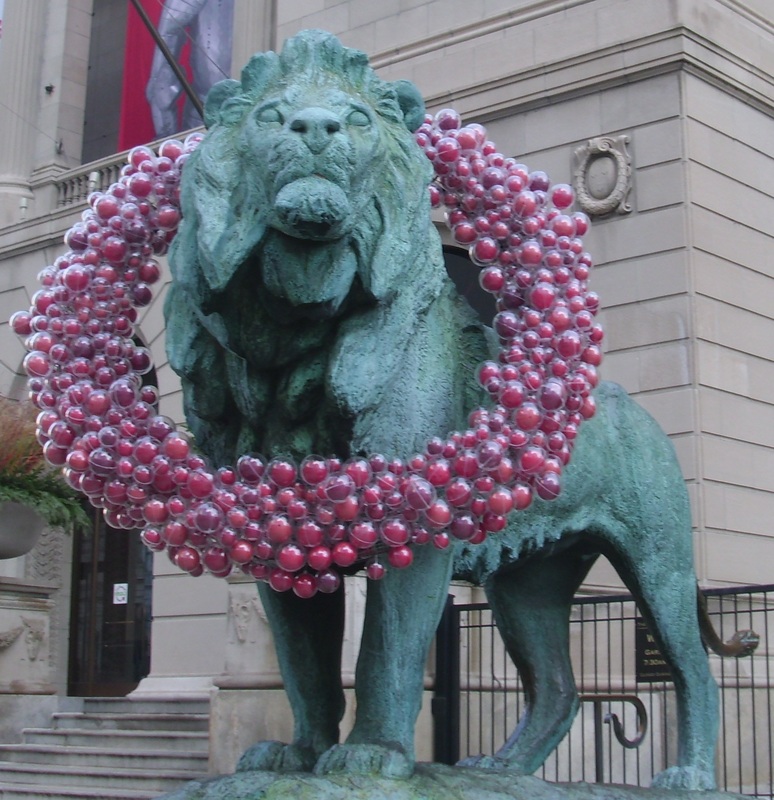 This year, the museum commissioned the Chicago-based firm Materious to design the lions’ holiday garb: giant cranberry wreathes. The rich pinks and reds are a strong punctuation on snow-filled Michigan Ave. (The wreaths also light up at night, and are solar-powered, oh hey!) The wreaths look a whole lot better than what they do to the lions when any local sports team wins a championship, and a whole lot better than the shoddy decorations over at the Field. Also notice how the wreaths match the graphics in the “Home for the Holidays” ad campaign. Word doesn’t recognize the word “dreidel,” is word being anti-Semitic? Be prepared to be underwhelmed with the holiday decoration of the Thorne Rooms. 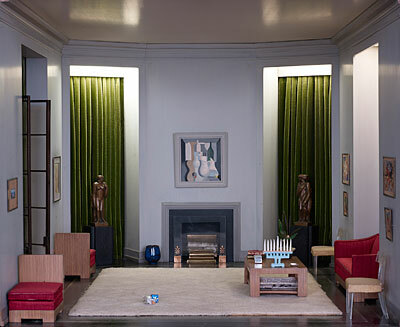 (Full disclosure, I’ve always disliked the Thorne Rooms, but I know that a lot of people love them.) Only a measly six of the rooms were decorated this year; the museum says it’s going to make this a tradition so eventually maybe all the rooms will be dressed up. The decorations are tiny (duh) but also very hard to see, the English Victorian Era room has a Christmas tree, and someone decided the rich people who own the midcentury modern California room are Jewish. The Chagall windows really did come “Home for the Holidays;” they haven’t been seen for five years during the construction of the Modern Wing. The museum also organized a small exhibition about the legacy of public art in Chicago with models and projects to accompany the windows’ return. The windows also went in for some heavy cleaning, shown in the video below. 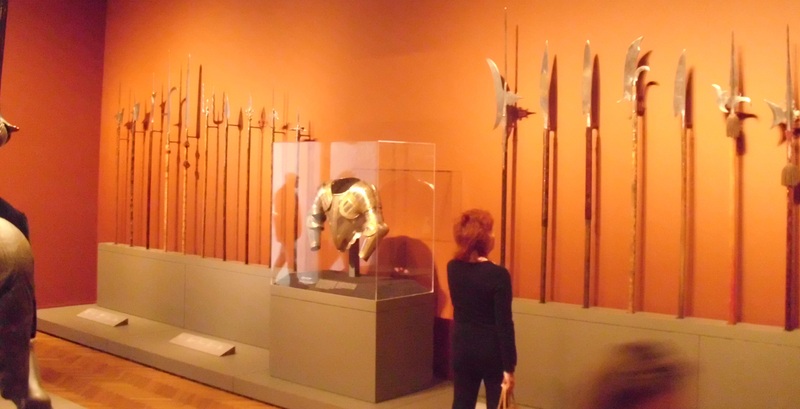 The other things that came home (for the holidays) was a selection of the museum’s George F. Harding Jr. Arms and Armor Collection. 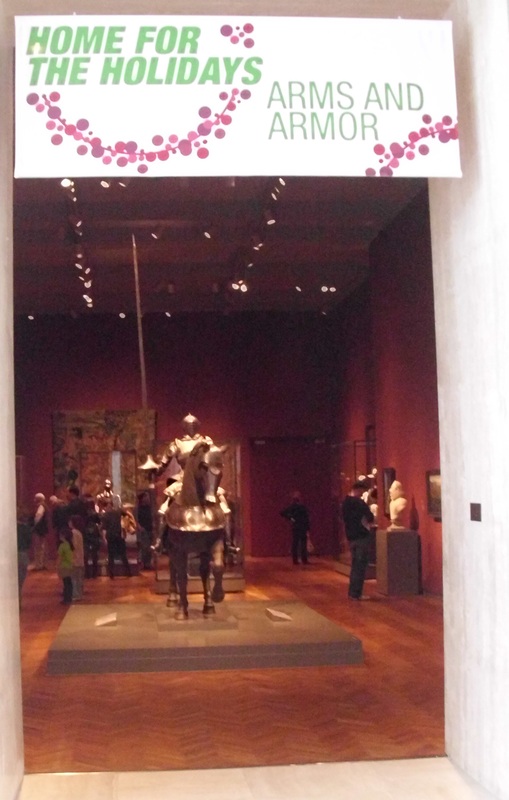 The installation is complete with a fully-armed knight on horseback, massive tapestries, and cannon. 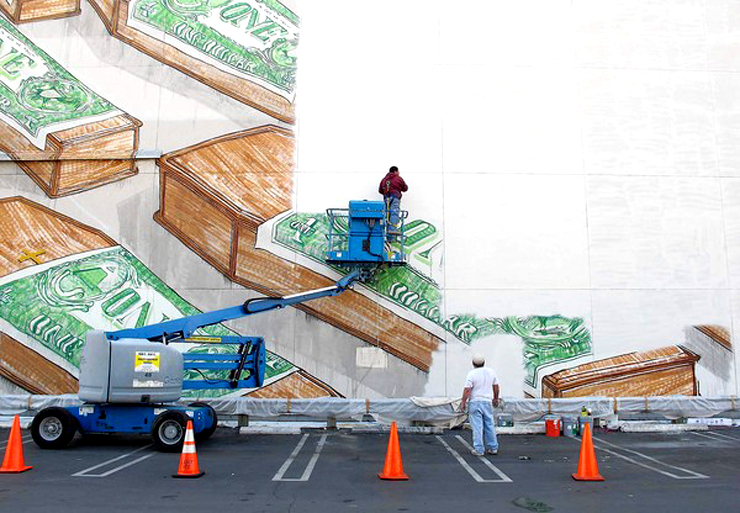 While this installation has nothing to do with the holidays (come on, you know it doesn’t), the wall text gives a hint about to exciting things. It reads: “This temporary installation of arms and armor […] Plans are underway for a larger permanent installation […] This new gallery will be part of a series of galleries that feature the museum’s important collection of medieval and Renaissance Art.” Clearly some large-scale reinstallations are afoot at the Art Institute, ones that are probably going to affect large portions of its well-loved and loved-to-be-seen permanent collection of European art. I wonder how this will affect the museum in the coming years. Nothing says “Merry Christmas!” like a medieval battleaxe. P.S. This story piqued my interest today. Starting in June, the Art Institute is getting rid of its free Thursday evening hours, quoting low attendance as a factor. Ahem, I have class on Thursday evenings across the street and know that the line to get in wraps around the building. 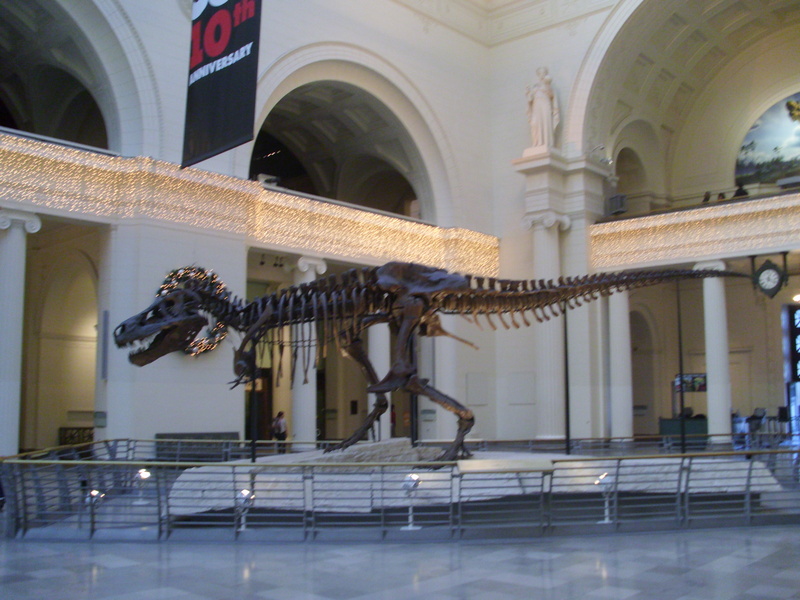 Okay, I’ll be fair: the museum spokesperson said not enough Chicago residents were coming on those evenings and that it was mostly out-of-towners. AKA people the museum wants visiting during regular hours and paying full ticket price. “Taking free hours off the table was never an option,” said a spokeswoman—well legally you can’t (all museums in Chicago are required to offer 52 free days), so don’t pretend like you do this out of the goodness of your heart. P.P.S I’m on break in LA, so expect a full report from the West Coast in upcoming posts.